Another year is coming to an end and as we look forward to 2018, we thought we’d sit down with Web Projects Manager Melissa Doyle and get her insight on web expectations, trends and best practices for the new year. If you are thinking about a new website or just have some questions related to websites or SEO, giver her a call. This is her passion. Now let’s take a look into the future with Melissa! What web trends are you expecting to see in 2018? 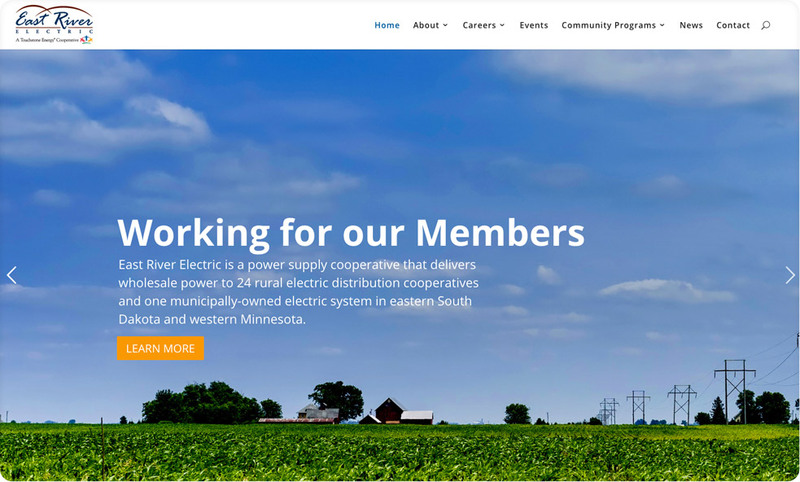 Large photography as displayed in one of the sites we recently made for East River Electric. Video can be popular and optimized so it doesn’t slow down a site. 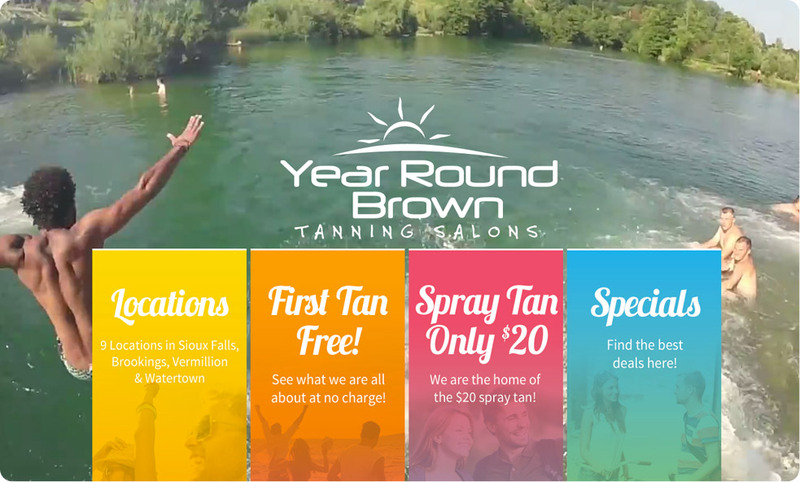 One example that we implemented video on is the Year Round Brown website. The videos focus on lifestyle and give the visitor a not so in-your-face approach to what the company is about. Gradients are something I’d like to implement in more of my future designs. They’ve gotten quite trendy and easy to customize through the advancements of CSS3. Again, the Year Round Brown website utilizes this trend going from yellows to oranges, and blues to greens. It can really make a website look fun and modern. Custom typography will continue to be popular as well. 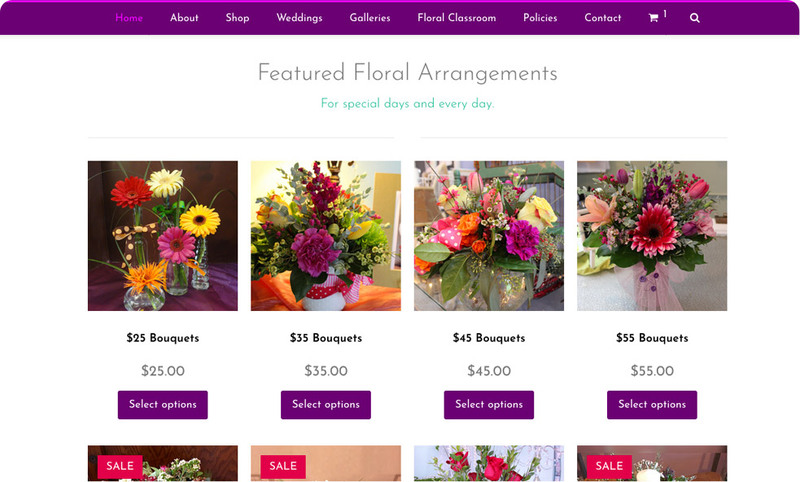 The Josephine’s Floral website uses a unique web font that works well for her flower shop. Ironically enough, the main font is called Josephin! Finally, as we move into the future, we will start to see more virtual reality with some websites. We already see it with 360 degree images on Google Maps and our friends’ Facebook posts. Web developers and designers will have to decide where this will be most useful – I personally think product imagery will see some growth in this area. How should a business owner determine if s/he should get a new website? An easy way to determine if a new website is needed is to ask the question – Has your site been regularly updated within the last five years? This would include content such as photography and other information. Of course if the website is not responsive, aka “mobile friendly” it’s definitely time to upgrade to a new site. An average of 70% of all website users are now using a mobile device over a computer. As of 2015, Google announced that mobile-friendliness will be part of their ranking algorithm. What’s a misconception that people often make when building a website? I often hear clients say, “I don’t want much scrolling on this website. It’s not good to have a lot of scrolling.” My response is – This used to be the case 5-10 years ago when the majority of web visitors were on desktop computers, and the thought was to make users NOT scroll to find information. With the mobile advancements with phones and tablets, users are now used to scrolling, and that original school of thought is somewhat invalid. When building a website, you do want to make information easy to find. Using titles and subtitles helps with this and the search engines like it too. How can website owners stay at the top of search engines? This is the Holy Grail for web designers and SEO strategists. There are many factors that go into Google rankings/algorithm; and they change often. I’ll give the first five that come to mind and these definitely help with rankings. 1. Always claim and complete your Google Business listing. By doing this, you show up on maps, get your phone number, website, reviews, pictures and more displayed often on the first page of a Google search. 2. Work to get positive reviews – Google takes notes and rewards businesses that have happy customers. Google and Facebook reviews are the most popular, but Yelp and others have importance too. 3. Set up social media outlets – the more links you have linking to your website, the better. An easy way to do this is via Facebook, Twitter, LinkedIn, etc. 5. After you create that blog post or have a new product or service you want to share with people, well, do it – share it! 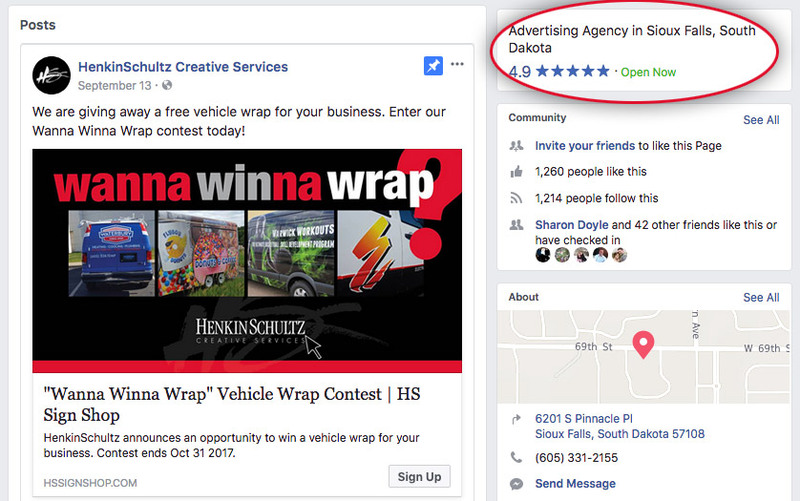 Share the link on social media, newsletters and other ads to get the word out. I always notice when watching the news, that when the news anchor talks about an upcoming event for example, they say “We have a link on our website.” They are intentionally driving traffic to their site first, instead of saying, “Visit ‘some-event.com’ to learn more.” – very smart. 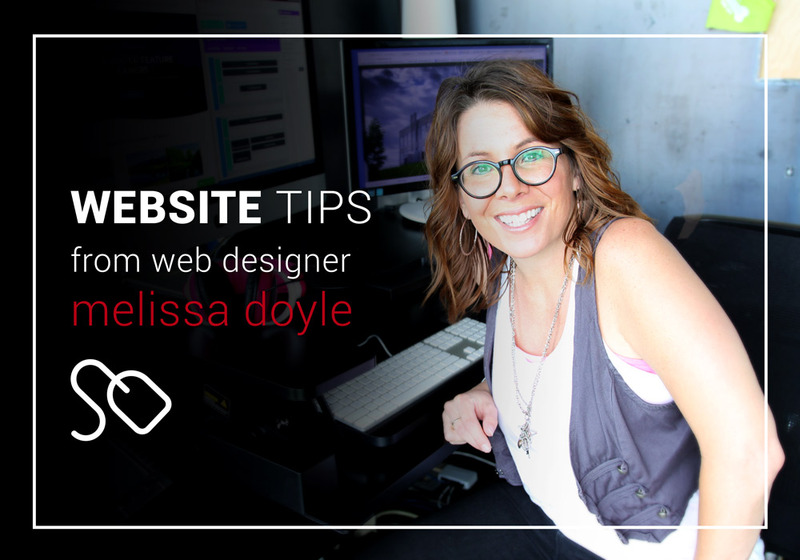 Melissa Doyle has been creating websites since the early 2000s. She builds primarily within the WordPress framework with a focus on UX/UI and SEO. She’s worked on projects as small as a one page website to larger websites that have thousands of pages within the database.